New ideas are a crucial component of business development and continuous improvement. Without ideas there won’t be new product innovations, intriguing process changes to improve efficiency or new HR practices to boost employee engagement and satisfaction. However, just having the ideas is not enough. You still need to further develop and implement them before you can reap the rewards. How you manage these ideation activities affects how much of the full potential of your employees you really have the luxury to benefit from. By defining a process for managing the ideas, you'll introduce clear responsibilities that will hold people accountable for progress, as well as create a set of common rules that make the process transparent and understandable for everyone. By defining a process for managing ideas, you'll have clear responsibilities that hold people accountable for progress. This guide will look at the different idea management processes we've encountered with our prospects and customers. We'll introduce the models and talk a little bit about their characteristics and suitability for different kinds of companies. 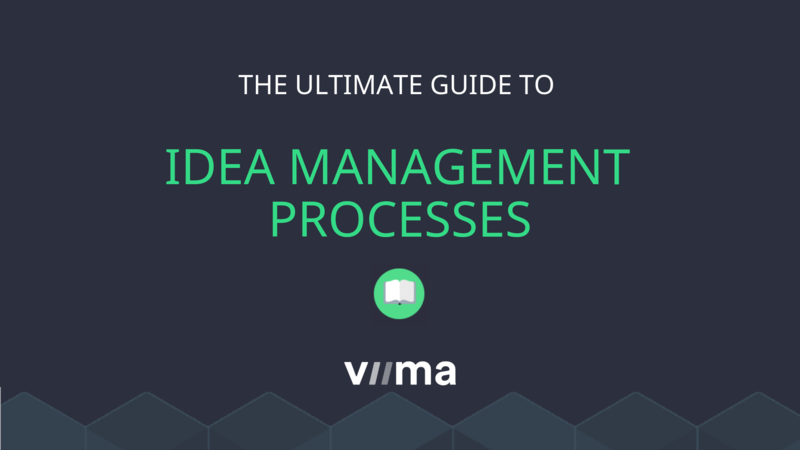 While you might think that you don't have an idea management process, you actually always do. Every company has ideas and every company makes decisions on how to proceed with these ideas, one way or the other. When there's no defined process in place, the culture – and the ways people are used to operating in – will define how ideas will be managed. There are also some processes that are less than ideal, even if they were formal. We'll first talk about the two most common ones we've encountered. If you don't know what should be done about new ideas in your company, you can probably be classified to use this model. Typically when people have an idea, they tell their colleagues or immediate manager about it. Usually the manager just receives a vague email introducing the idea in a couple of sentences and since has tons of other things to do, she might just not have the time to do anything about it. Often times employees will then get gradually more frustrated about all the things that are broken in their daily work and start to turn more and more demotivated and cynical. All of these have their challenges but the bottom line is that these methods are hardly ideal for finding the right ideas to work on, as well as to have the right people working on them with the right resources. In addition, they can often be harmful for the company culture in the long run. If you identify yourself with this "process", you could try to introduce a very light process that require managers to collect suggestions from their employees and report them to their superior once a month. While very rudimentary and far from ideal, this should still eliminate many of the issues explained above and lead to positive development while you prepare a better one, the hallmark of a quick win. This suggestion box is then monitored, typically by a single person, and the few ideas that are left there are perhaps processed by some committee once a quarter. While well intent, the execution of this kind of a process is often times terrible. Usually the suggestions seem to either just disappear or result in no further action whatsoever. Furthermore, the people leaving the suggestion will typically never hear what happened to their idea, especially if it's a no-go decision. The poor results and lack of transparency will lead to a downward spiral for the culture of participation, leading to decreased activeness, as well as potentially worse results. We've basically seen three different kinds of processes being practiced in companies that are successful in this area. There are of course always minor differences in the way companies deploy these models, as there should be, but fundamentally these variants are the same. We'll next explain these models, as well as discuss their suitability for different kinds of companies and use cases. The first one is called the Centralized Model. The idea is pretty simple. You basically have employees coming up with ideas and putting them into a transparent system, which then notifies people who are responsible for the area of the idea, called Category Managers, after which the idea is then collaboratively developed further. Decisions are then made in a steering group meeting or similar, which gathers in regular intervals, on whether the ideas are to be implemented or not. If not, the no-go decision is communicated back to relevant stakeholders automatically via the system after it's status is changed. If the idea is given green light, the idea might be implemented in an existing project, directly in a business unit or then a project team will be formed to implement the idea. If the implementation is a large project, there might be several "gates" where further go/no-go decisions need to be made again, in which case the steering group will make those decisions. The steering group typically uses an idea evaluation process to gather data prior to these meetings so that the decision can be made more effectively. The steering group is also responsible for the process itself, monitoring the results and discussing how to further improve it. When to use this model? This model is most often used by companies with less than 200 employees that have, to at least some extent, hierarchical organizations. The decision making process is thus very familiar and often works quite well as long as you can fit everyone who needs to be involved in the same meeting room and make sure that the meetings occur on a constant frequent enough basis. Once the company grows larger than that, the centralized model tends to lead to a number of bottlenecks occurring in the process. For example, there are typically too many and too diverse ideas to discuss in a single meeting with a handful of people representing only a part of the required expertise. This model is also often used in specific contexts where the ideas require either cross-functional expertise or a lot of resources to implement, such as when ideating improvements to a complex product or completely new business opportunities. The second is actually quite similar to the first one. The only real difference is that there's no central steering group making decisions about the ideas. That responsibility is moved over to the Category Managers. The Category Managers often have all the expertise required to make decisions about their own category so they can make decisions faster and with more knowledge. While Category Managers are responsible for the decision, this doesn't mean that they'd always need to do it by themselves. They can gather their own expert panel or just ask for expert opinion quickly and easily as they typically work with the domain experts on a daily basis. The role of the process owner and/or executives is mainly to monitor the flow of ideas, measure the results and discuss with the Category Managers about potential challenges, as well as opportunities for improvement. This model is most often used by companies with more than 200 but less than 500 employees. When the companies are of this size, they usually start to have business units that are used to making decisions like this pretty much independently. This speeds up the process and ensures that the people making the decisions have the right knowledge. This model is thus also suitable for cases where the ideas are smaller, incremental improvements in specific processes or simpler products. The challenge lies in cases where the ideas are overlapping and cross-functional. It might not be obvious who's in charge of those so make sure you have clearly established rules for this kind of occasions as the best ideas usually are somewhat cross-functional. Also, with this model, one must ensure that Category Managers have the necessary resources to actually implement the ideas. This model is actually just a combination of the two abovementioned. In most large organizations, one company-wide process just doesn't cut it for all the different ideation needs. There might, for example, be need for product related ideation and then general company wide process development. These are by nature very different so it just makes sense to have different processes for each of these use cases. We refer to these as tracks. However, when you have several separate ideation tracks in place, you should have some kind of a dedicated process owner or steering group in place to oversee the different tracks. This can be just one person or a recurring meeting of either executives and/or the representatives of the different tracks. The role of this party is primarily to support the decision makers of the different tracks to monitor their performance and continuously improve their processes. However, this party can also help in cases where the decision makers of the tracks have a hard time making those decisions, for example if the idea is overlapping with other tracks. This model is often used by companies larger than 500 employees but is not limited to them. It's very useful also for smaller companies that have several ideation needs that are different by nature. The Hybrid Model is also a necessity if you have a large portfolio of projects and would like to manage ideation separately for each large project (as you probably should). As projects are always temporary instances, you need to make sure that you can set up new tracks quickly and easily by having common process models for them along with the system support of setting those up in minutes. If you're unsure about implementing this model right away, start small with a specific use case with either the centralized or decentralized model. Then once you start expanding to other use cases, you'll soon realize if you need to implement those use cases as their own tracks. Even though these models are different, there are certain aspects that you need to have right, regardless of the model in question, in order for it to work. Here are some of the factors that always seem to play a large role. As was explained, in the decentralized model the Category Managers are the ones making the decisions on new ideas. They, however, play a huge role in the development of the ideas, regardless of the model. Their job is to serve as a kind of devil's advocate. They are responsible for sparring the creator of the idea, and others who are interested in it, in developing the idea further by asking the tough questions. This will also help employees develop their capabilities in critical thinking. As very few ideas are ready to be implemented without this kind of participation, the activeness and capabilities of the Category Managers is usually the single biggest factor for increasing the ratio of useful ideas to poor ones, which is a very common issue in most idea management processes. They can help you understand what the idea is really about, how difficult it would be to implement and how large the impact would be. All crucial pieces of information for decision making that might otherwise be missing. The Category Manager needs to communicate the decision back to the employees so she needs to fully understand why the decision was made. Communication leads us to our third success factor of community management. 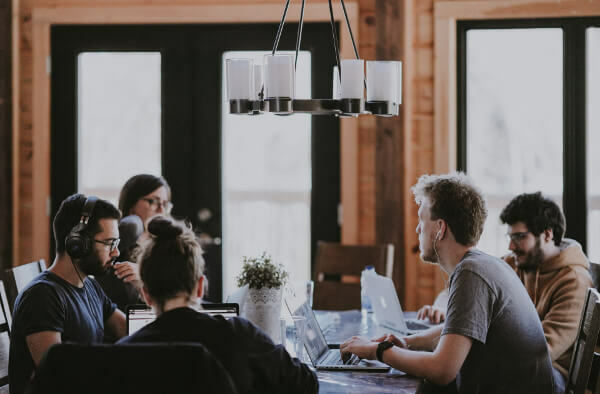 Community management is most often talked about in the context of brand presence in social media but the same skills and principles apply for building an internal community within the company. 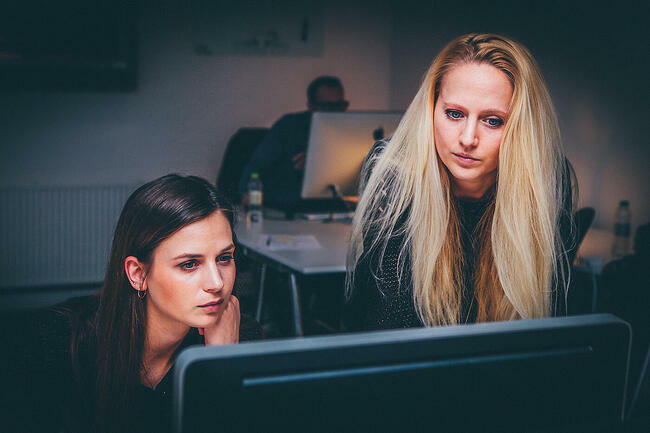 Community management is typically performed by the Process Owner together with the Category Managers but can also be delegated to a dedicated Community Manager, depending on the size of your company. For some of the qualities that are essential to succeed in this role, see this post. In this regard, it's also crucial that you commit to making transparency a value in itself. There's often a lot of anxiety whether people should see ideas for example from other departments. The argument is, however, completely counter-productive. The only way to build the cross-functional knowledge, that's required to thrive in virtually all businesses these days, is to add transparency and start to break down the silos. Ideation is a very easy, cost-effective and safe way to start to do that. If participation seems low, there are two potential sources for the issue: either it's too difficult to participate (consider the ease-of-use of your ideation tool) or poor community management. 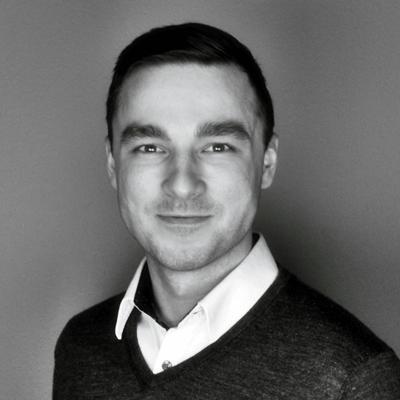 Even if your community manager does a good job communicating the process and its purpose, it still might sometimes take a lot of communication, encouragement and hard work to get people to really change their habits and actively participate. You can also consider the use of rewards, which can be as simple as recognition, to help drive home the point and encourage desired behaviour. With time, employees will gradually start to form this behaviour into a habit. Just remember that different people are motivated by different factors. The last success factor is related to both the decision making and implementation phases. If you aren't willing to start a new project before you know everything, you'll by definition probably never create anything new. In the complexity of today's world, you just can't know everything beforehand. You need to be willing to let people proceed with incomplete information and experiment. That's by far the fastest road for both learning and getting things done. So be eager to start new projects and start them with great freedom but limited resources, especially if it's a large project. Then check back on the progress regularly and don't hesitate to kill the ones that don't seem to work out. The same also applies for the idea management process itself. The first version of your process will never be perfect, no matter how well you plan it. So just get started with your best guess based on this guide and see how it goes. You'll learn what works and what doesn't and can then improve the process. Just make sure your idea management software is flexible enough to quickly and easily adapt to at least all of the different processes mentioned in this post without the need for additional software development. The first version of your idea management process will never be perfect, no matter how well you plan it. In business, time is of the essence and no matter how efficient you'll make the process, waiting for a decision still always prolongs things and adds overhead costs, which for many smaller ideas might be a very significant. On some of these occasions that overhead can actually be costlier than implementing the idea, especially so if you take into account the opportunity cost for not implementing the idea right away. The second downside is that top-down decision making requires heavy prioritization. While that's generally speaking a really good thing for maintaining focus, it's not always ideal since it will eventually lead to many great ideas being rejected, either because they're considered too much of a long shot or because they're just not considered a priority. The latter being an issue especially for many incredible useful incremental improvements, whereas the prior more so for those big ideas that can lead to great innovation but always come with an inherently high risk. The dream is to have a company where every employee understands well both their own job as well as the business as a whole and are capable of proactively improving every facet of the way they work. Occasionally they'd even come up really big ideas and build the first versions of those themselves, really taking the company to new heights. The dream is to have every employee understand the business as a whole and proactively develop every facet of the way they work. When you're close to this level, you can start to introduce more freedom and responsibility for everyone like Google does with their famous 20% time policy. If you're not familiar with it, the idea is that employees can use up to 20% of their time working on anything they want that they'd consider to benefit the company. In reality, this was never an official policy but more of an abstract but practical idea for encouraging employees to be creative and innovate. There are obviously a number of great benefits in this model, mostly related to how people are going to be more engaged and work harder to make their own ideas a reality, as opposed to the norm where the ideas come from someone else. In addition, this enables original, creative ideas – that the decision makers would never have bought in the first place – to take shape. This can in turn lead to great new business areas for the company, just like Gmail for Google. However, chances are that you're not quite ready for that. These kinds of practices require a tremendous amount of initiative and long days from your employees but even that is not enough. They need to have great cross-functional skills, understanding and knowledge (or the network to acquire all of these) in order to make those ideas a reality, which most employees in most companies don't unfortunately have. To eventually get to that dream, or at least close to it, you'll need to take gradual, systematic steps, as organizational change takes time and is inevitably gradual. There are obviously many ways you can build the capabilities for innovation and having a well lead and efficient idea management process is just one of them. Consider, for example, using self-organizing, completely autonomous, teams in some of your teams or development projects. However, the models we've introduced above are practical ways of getting started on that path. They'll help you build an engaged culture that appreciates participation and empowers people to innovate. By doing this, you'll also efficiently spread tacit knowledge and can start building the capabilities people need in order to really make innovation happen. The good thing is that you don't need to (and probably shouldn't if you haven't done anything like this before) make the process company-wide right away. Start for example just with a single business unit as an experiment. See how the process works and how people respond.Learn and then adjust your approach, gradually expanding when you'll see positive results. If you found this guide useful, you can click on the link below to get the ebook version of this post along with a PowerPoint template which has editable slides on each of the processes. Feel free to modify and use them as you wish.